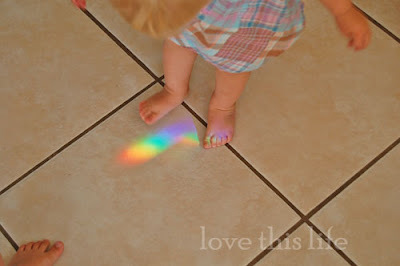 love this life: Love Thursday and 30 Days::Day da da da da 30! there has not been any time for much more than being present with these children this week. it has a great deal to do with what lessons i am learning in this life. although, just when i think i have a grasp on those very lessons...they seem to turn and become unrecognizable. i haven't tried to write about any of it, because of so many different excuses. i can't think clearly enough, i don't have it all quite figured out, it isn't completely a part of my life or practice. and then i am quickly reminded of this new found whispering comfort...pssst..."start where you are". because, really, if i made it up in my mind not to begin until i had reached my creative potential or until i had enough "time" or until my children listened to my requests or until i had myself and my relationships "together"...i would certainly never be taking the first step. thankfully, none of those things will ever happen, and so i must start where i am. and that is? totally imperfect. a bit of a mess. stinky, unshowered, jumbled, confused, curious, afraid, worn out. i always wear the "wrong" kind of underwear and just yesterday i walked into a room full of new friends with my shirt on inside out. yes, all of that is where i am at...and more. there is a whole enchilada where things aren't always nice and smooth, but where i am realizing that those "things" are the path to my softening...to my opening up...to my loving. i am acknowledging the afflictions of my heart in a whole new way. not so much a fixated, heavy sort of dwelling as it has been...but rather a friendly, gentle more light approach. i am learning that by loving myself, i am also loving others. and that all has to start now, in this moment, right here. i keep envisioning the world deciding to throw this massive de-masking party where everyone is invited as long as you check your "stories" at the door. the stories that we all make up about ourselves...the ones that keep us protected, the ones that make sure our wounds are hidden or that we walk around in metal armor. a party where our image has to go and where we let go of any need to be afraid. what would that party look like? holy crud...wouldn't it be FUN!!!!! and tender, and alive, and piercing all at once. so i'm starting. because i see everyday with these young children that there is so much learned from presenting our whole selves forward. there is so much richness in the honesty of it all and recognizing that moments pass, emotions are fleeting, tomorrow has come. we de-learn that, you know? every so often asher will let me know..."mama, you make me upset!". and then within minutes, he is forgiving me and carrying on without holding on. how do i re-learn that? how do i un-learn the habits that i do have? i'm not totally certain, but, i'm going to start where i am. and that is all any of us can do....each day....anew....and appreciate what is right here, right now....i need to work on that too, sass! wow. Day 30 and the photo is fantastic and very apt. Just this little bit of light. Right here, there is magic. Find it. Embrace it. Start where you are. I really like that. Wouldn't it be nice if all our anger, frustration, hurt, unforgiveness, etc. could be checked at the moon each night so that each morning, with the sun, we could rise with a new spirit? thanks for this great post, i loved it! i am in the middle of reading "Start Where You Are" and listening daily to "Getting Unstuck". i'm re-learning and un-learning alongside you. thank you for 30 lovely days. I hate to be wrong and I have a hard time with "I'm sorry." Whenever Jackson and I are butting heads and I'm nagging him to stop some behavior he so sweetly and sincerely aplogizes. "I'm sorry for touching your bag mama." When I tell him it's alright, but don't do it again - he'll say, "you say sorry for getting mad at me mom." When I do, he tells me it's okay. God, they teach us so much. Big hugs Jess! Your open heart is beautiful. check out www.starfall.com Great activities for Asher. Build a snowman!! Jackson loves it. What a beautiful and wise post, sweetheart! And as always, I love your photo! I so love you for who you are and where you are right now. You are a true treasure Miss Jessamyn and my life would not be as full without you in it. a good friend of mine always said, as a mantra, "Start with what you know." and when I read your 'start where you are" it brought me back to her, to me, to where I am, what i know. I am mother. I am human. I love chocolate. I love the sky. I love the grass. I adore children. I like to write.